Andy Brunt has earned a $108,000 Ralph C. Hon Scholarship from Rhodes College and a $92,000 Bell Tower Scholarship from Furman University. He is the son of Linda and Neal Brunt of Cartersville, Ga.
Kathryn Chunn has earned a $56,000 Presidential Scholarship from University of Tampa. She is the daughter of Greg Chunn of Acworth, Ga., and Lynda and Christopher Walsh of Jasper, Ga.
Olivia Harper has earned a $100,000 Bell Tower Scholarship from Furman University and a $100,000 Distinguished Scholars Award from Tulane University. She is the daughter of Mary and Andrew Harper of Rome. Maggie Inman has earned a $125,000 scholarship from Brenau University. She is the daughter of Tara and Brian Inman of Rome. 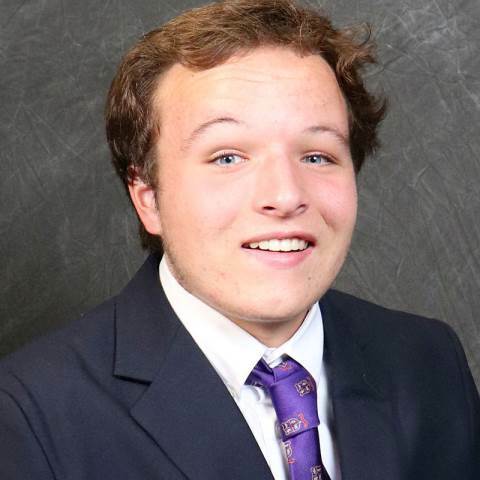 Clayton Tillery has earned a $79,000 Lanier Scholarship from Oglethorpe University, a $48,000 Ecce Quam Bonum Award from Sewanee: The University of the South, a $37,000 Dean Scholarship from Samford University, a $32,000 Academic Scholarship from Berry College, and a $10,000 Foundation Scholarship from Birmingham-Southern College. He is the son of Ann Marie and Scotty Tillery of Cedartown, Ga.